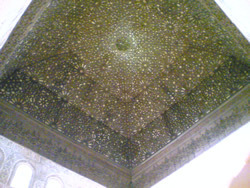 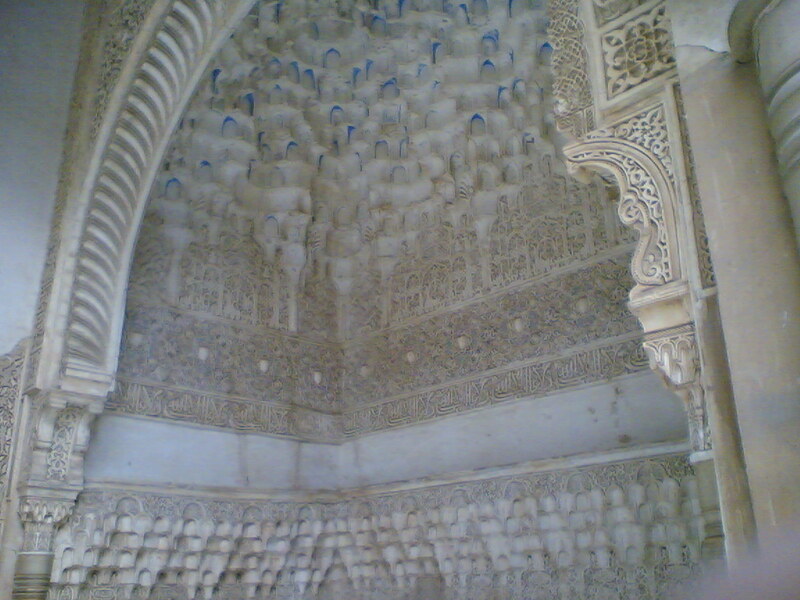 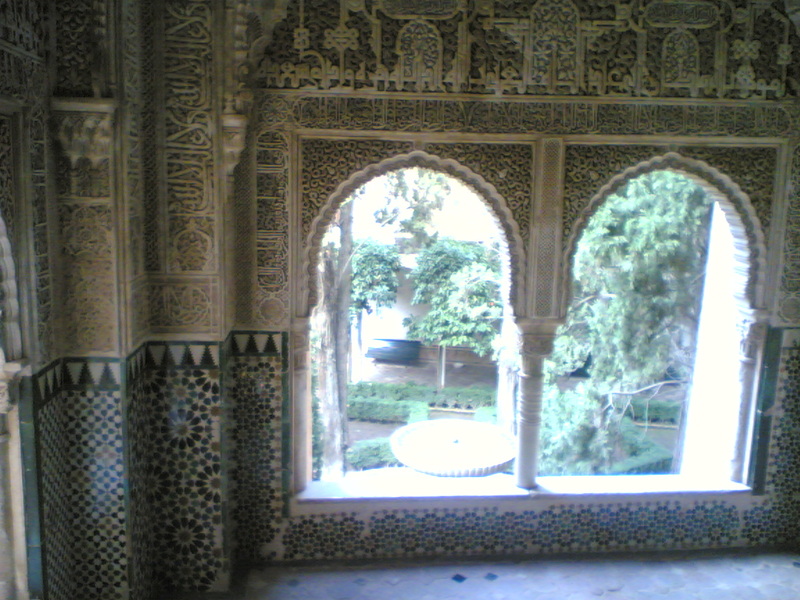 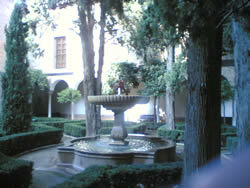 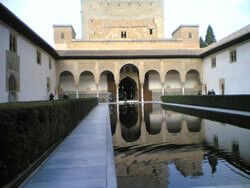 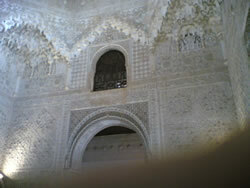 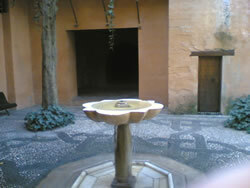 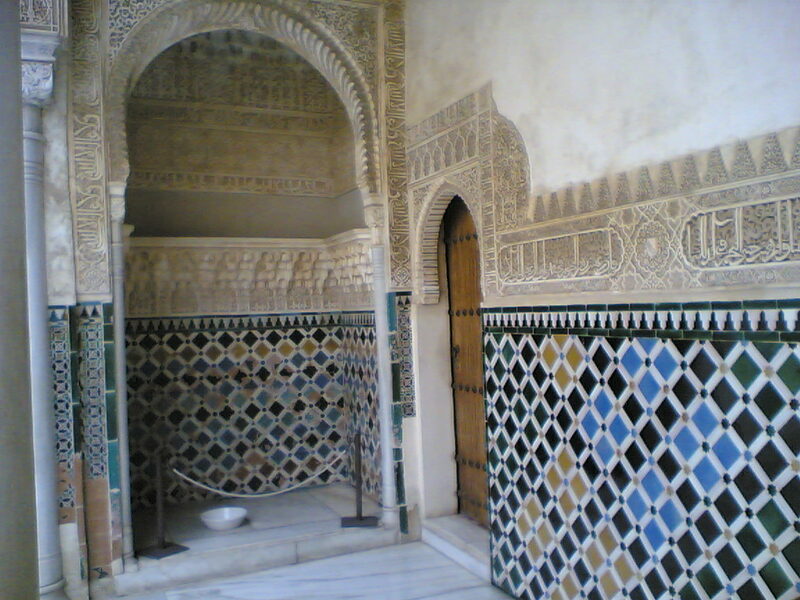 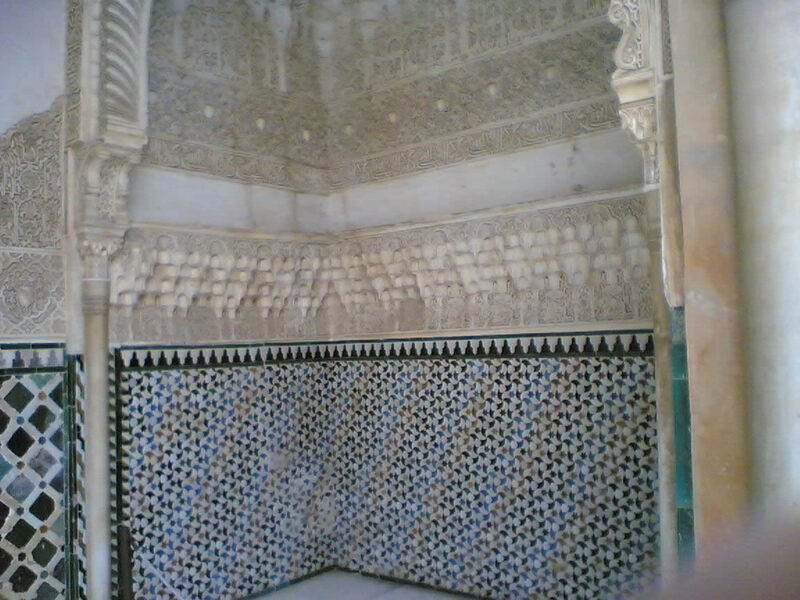 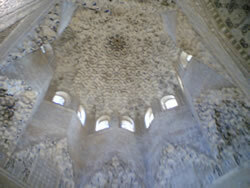 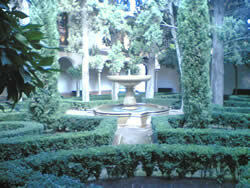 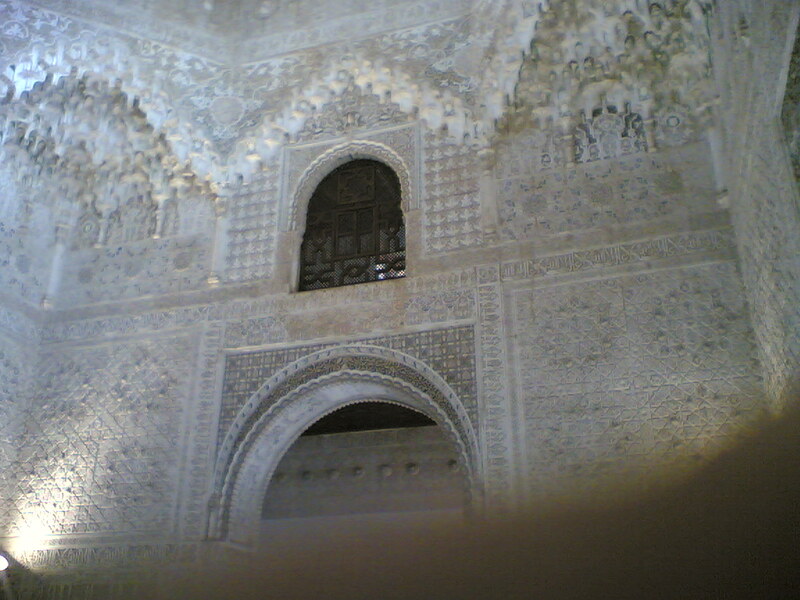 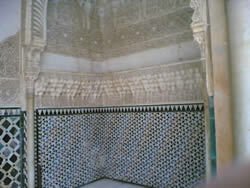 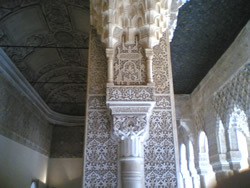 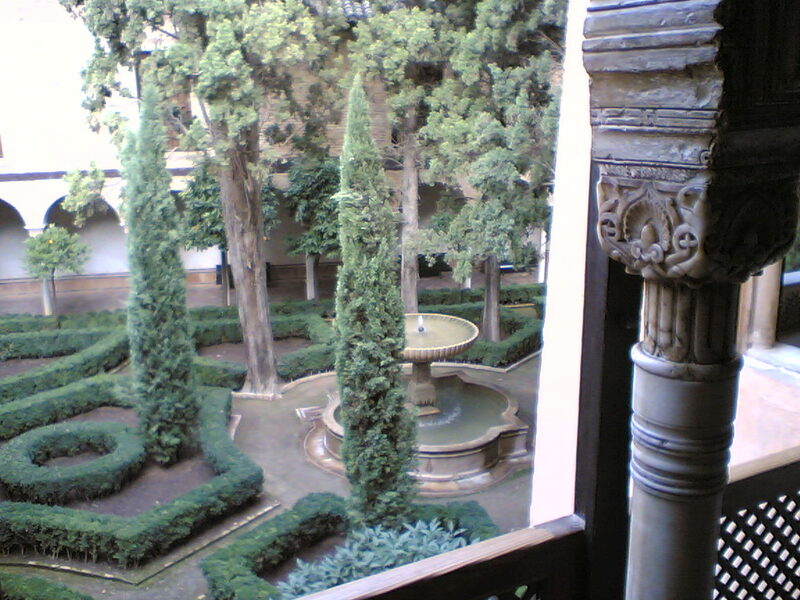 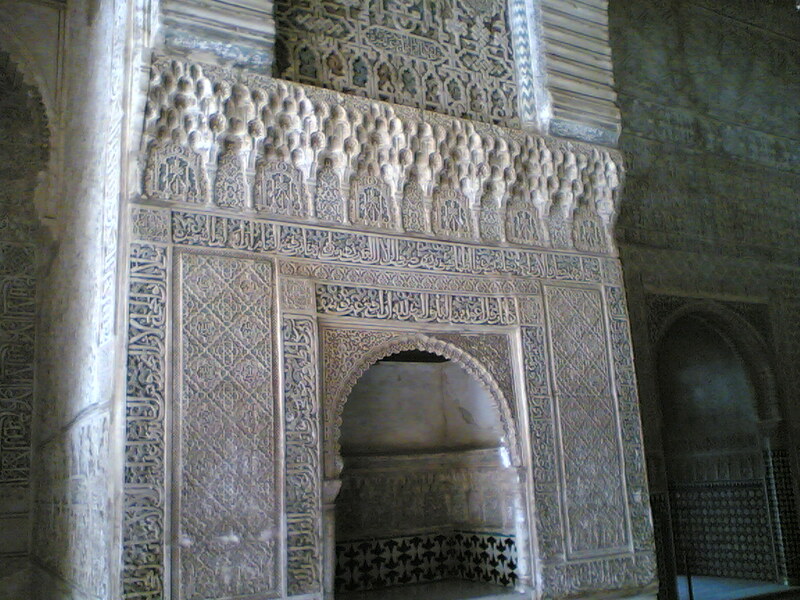 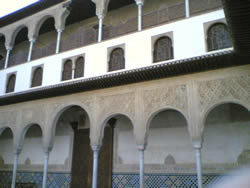 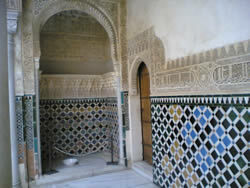 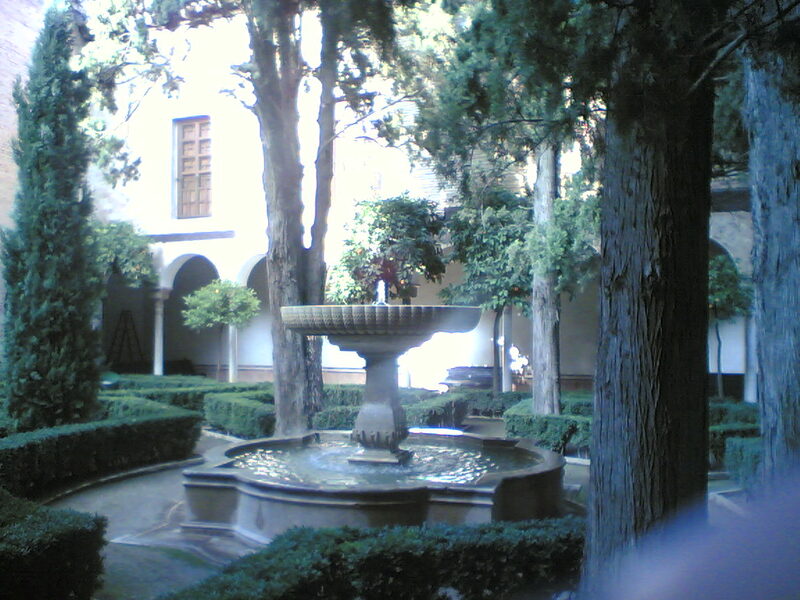 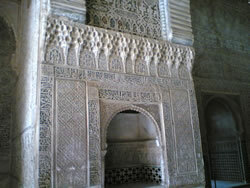 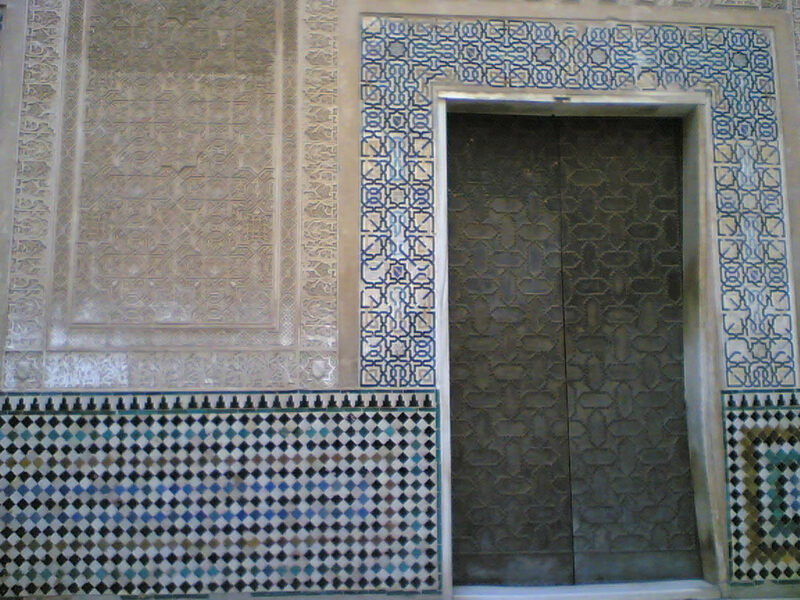 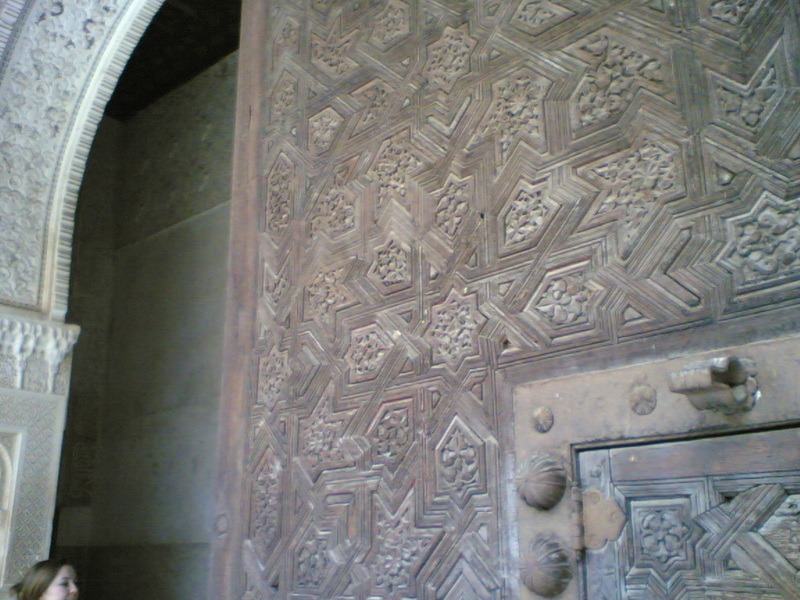 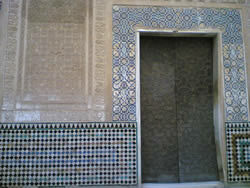 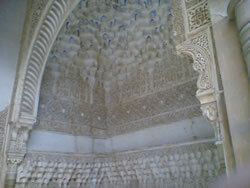 Images from AlHambra - The last sigh of the Moor! The last sigh of the Moor - "You do well," said his unsympathetic mother, "to weep like a woman for what you could not defend like a man"
The Alhambra (in Arabic: Al Hamra; literally "the red" is the palace and fortress complex of the Moorish monarchs of Granada, in southern Spain (known as Al-Andalus, al-Andalous, Andalucia, or Andalusia when the fortress was constructed), occupying a hilly terrace on the south-eastern border of the city of Granada. 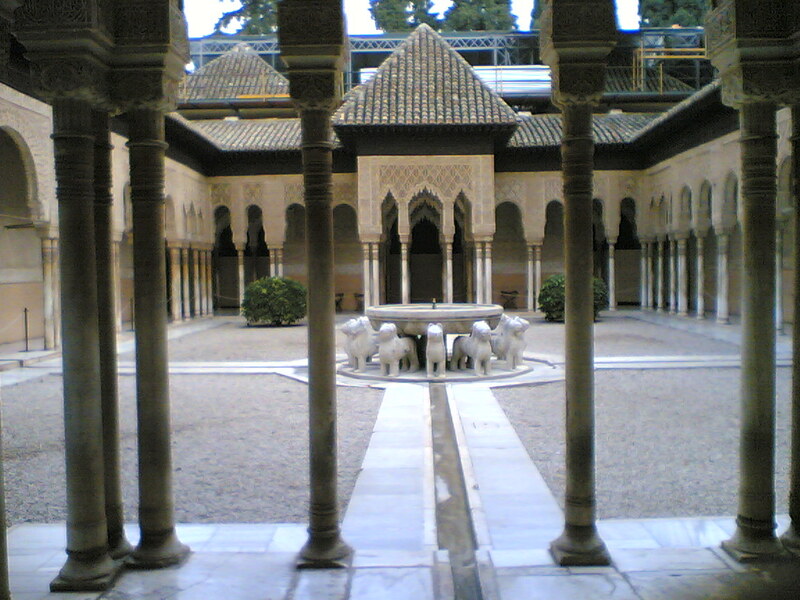 It was the residence of the Muslim kings of Granada and their court, but is currently a museum exhibiting exquisite Islamic architecture. 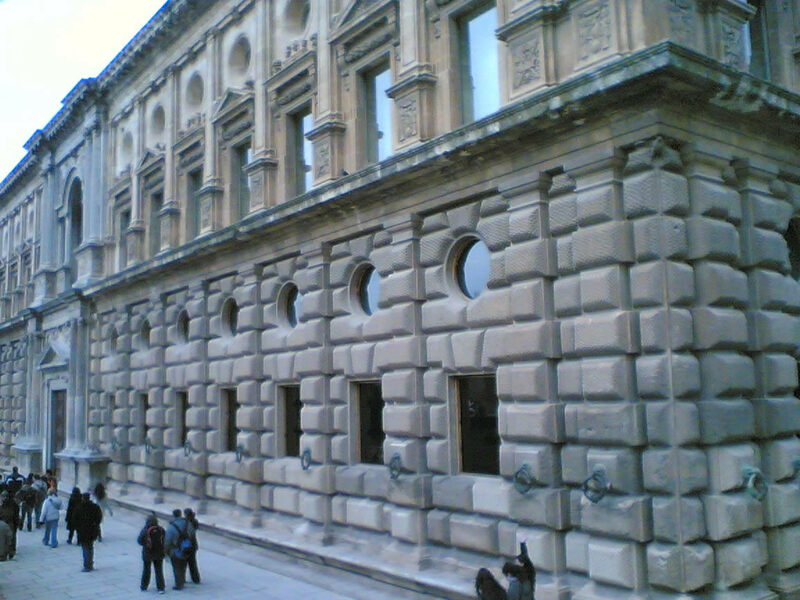 Civilisations have flourished on this land since ancient times, but the Golden Age of southern Spain came about only after the arrival of the armies of Islam, who had swept out from Mecca in the 7th century across the vast deserts of North Africa and crossed the straits of Gibraltar in the 8th century. 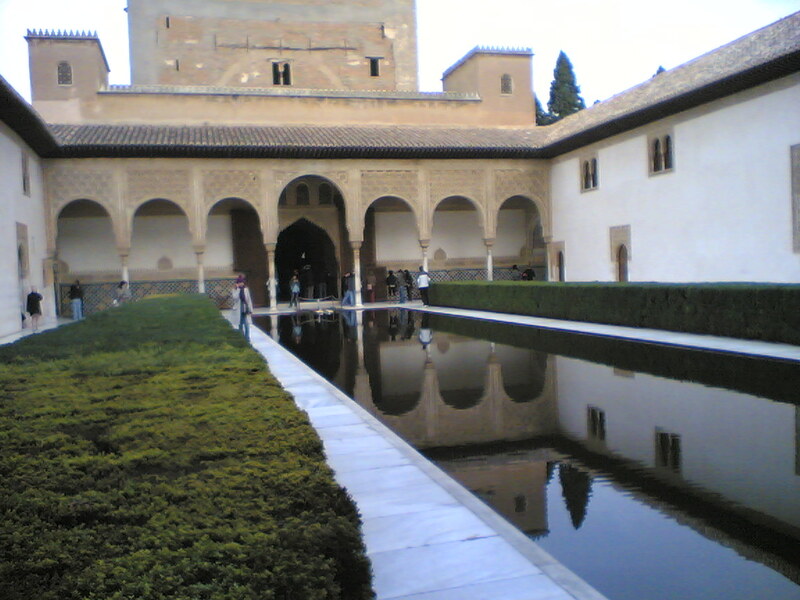 This newly-conquered land, at the very edge of Islam, would now be known as al-Andalous (al-andalus, Andalusia or Andalucia). The Moors created a stunning civilisation that outshone its neighbours in Christendom and in the rest of the Islamic world. 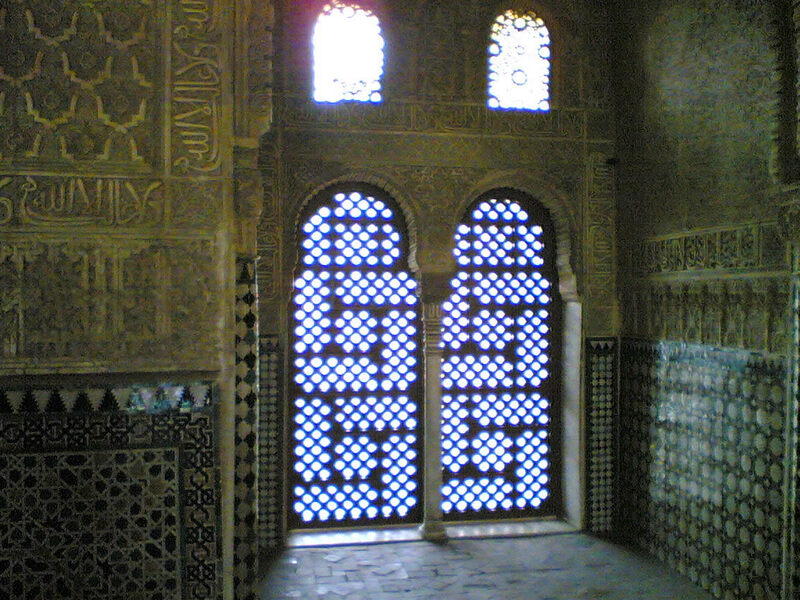 Medieval Andalusia was a light in the Dark Ages of Europe: a land where Muslim, Christian and Jew created an intellectual, advanced and tolerant society. 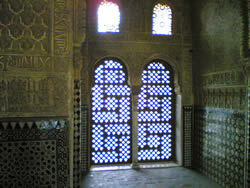 Muslim poets sang of their beloved land as a terrestrial paradise. 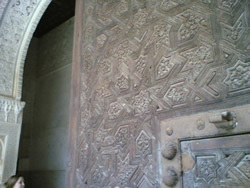 Jewish poets called al Andalous their second Jerusalem. 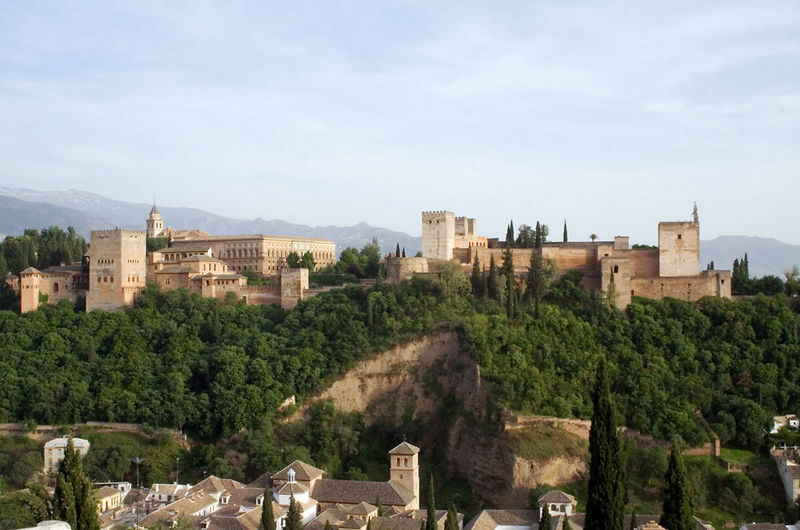 No place can serve as greater testament to the glories of Andalusia than the hills of Granada - especially that legendary hill known as the Alhambra. 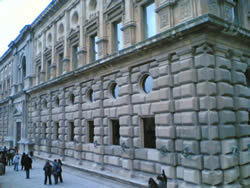 Granada was, for centuries, the last stronghold of the Moors before their final defeat in 1492 to the Catholic monarchs Ferdinand and Isabella... The fort, palace and gardens of Alhambra, whose beauty were legendary even in their own days, were the heart and soul of the Moors.